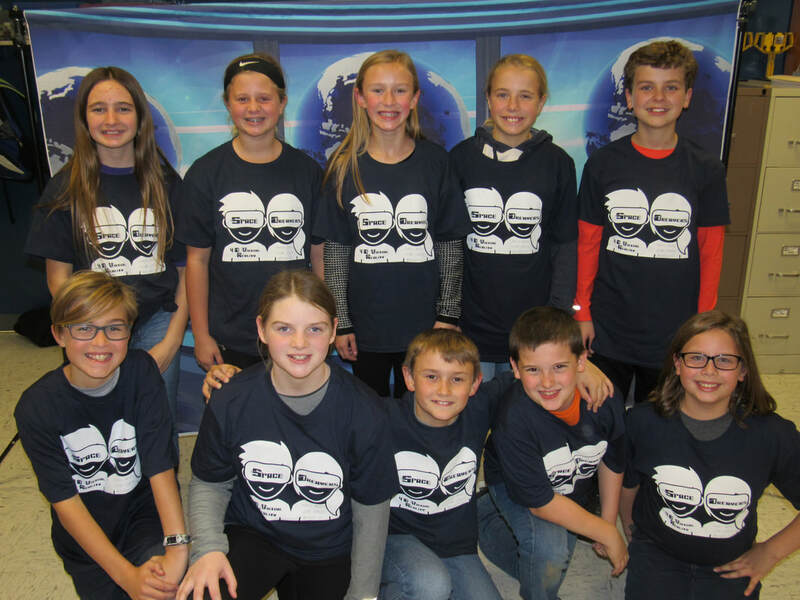 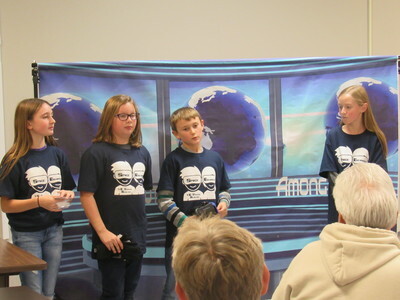 Each year, 10 students are chosen to represent our school in the LEGO League competitions. 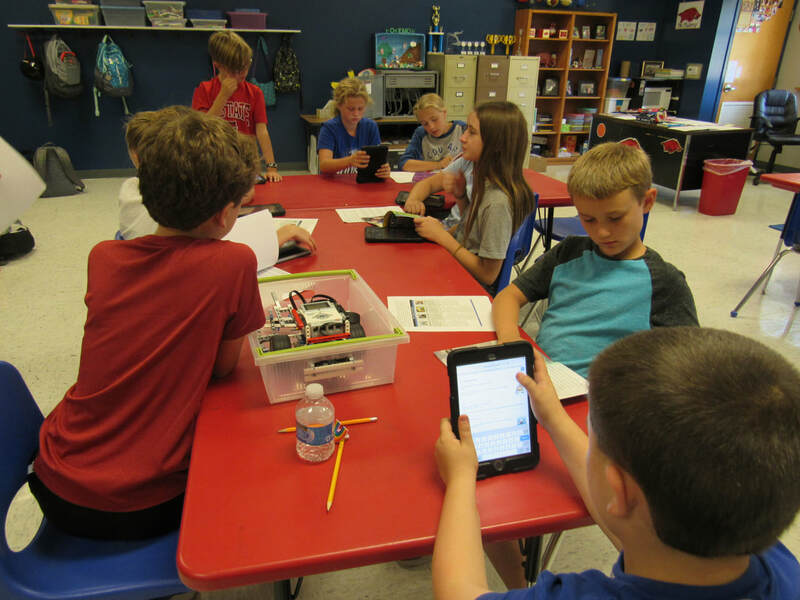 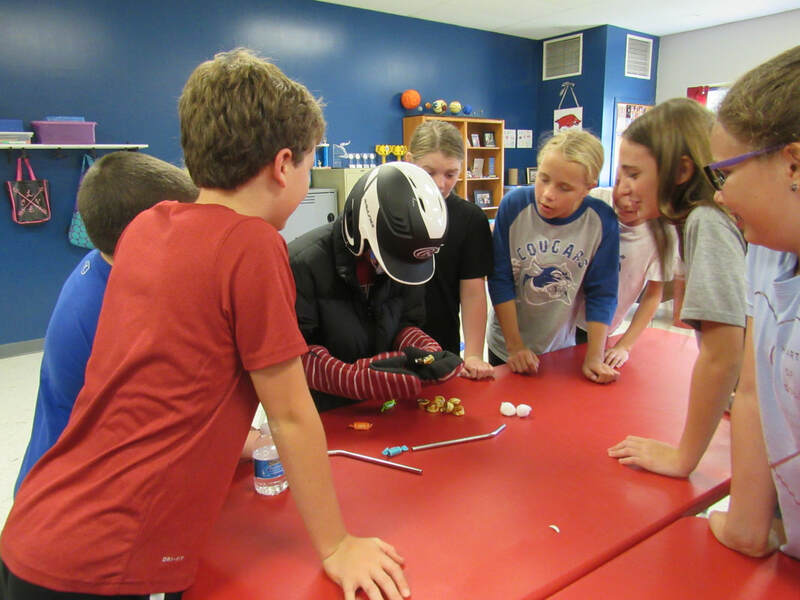 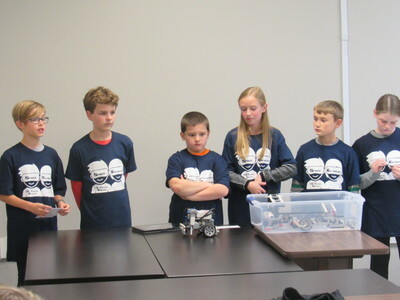 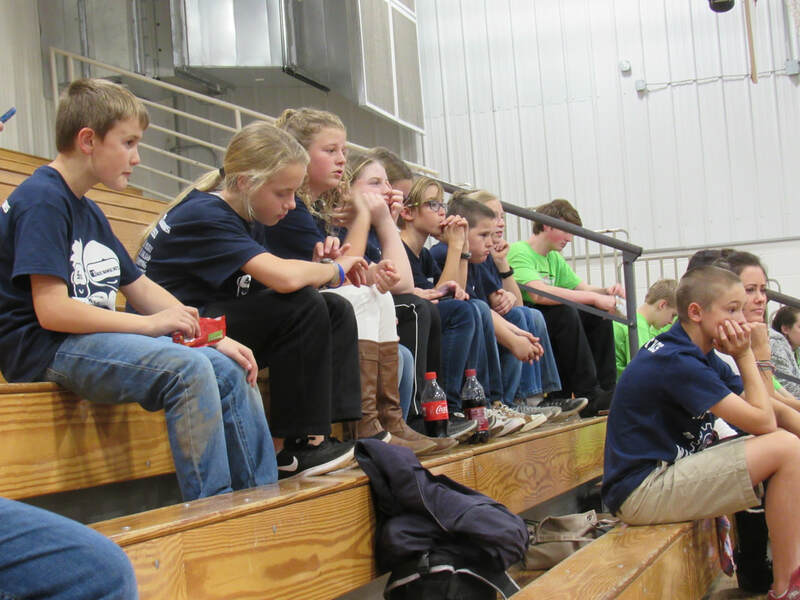 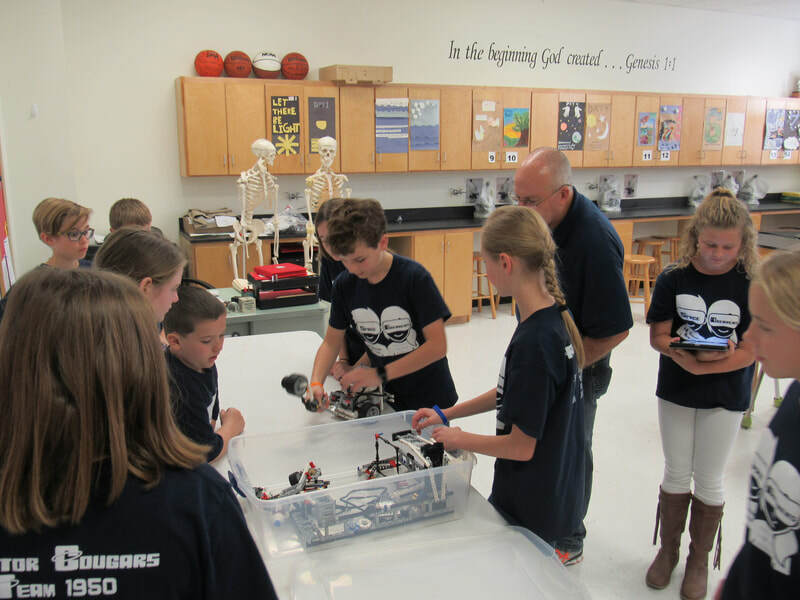 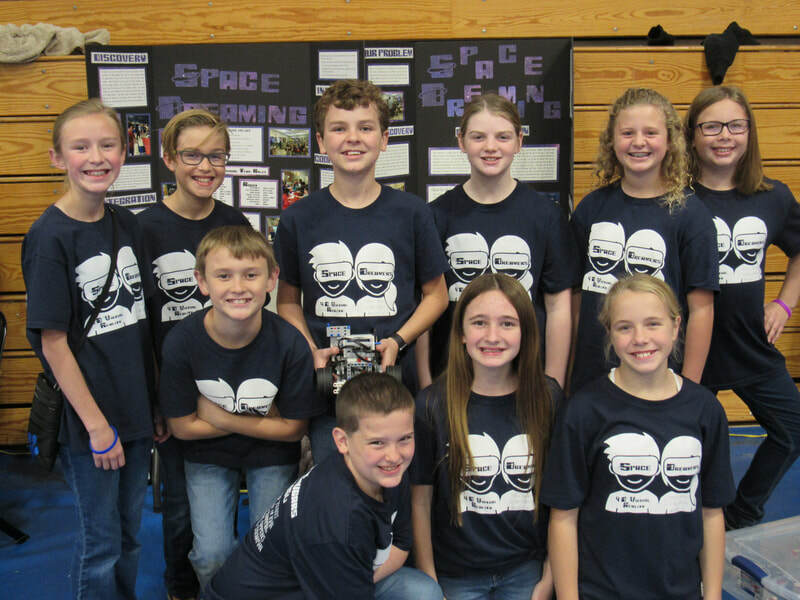 The team competes in a research project, core values assignment, and a robotics competition. 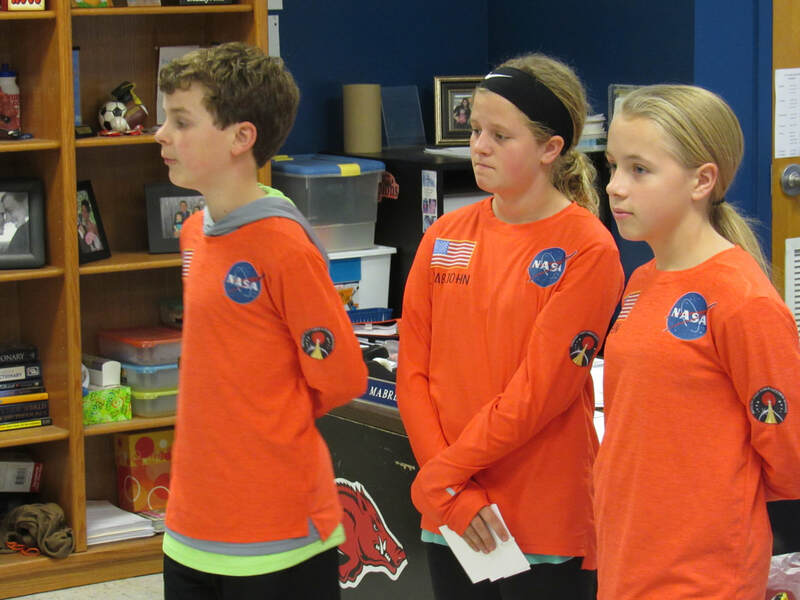 This year, the theme is Into Orbit, and the challenge this season will transport your team into space where you will explore, challenge, and innovate in the vast expance of space. 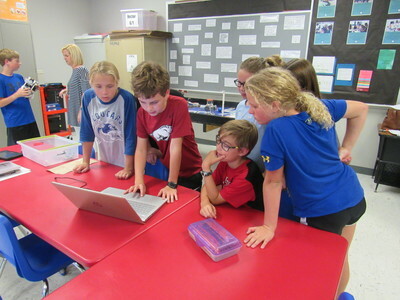 Thank you to everyone for your help! 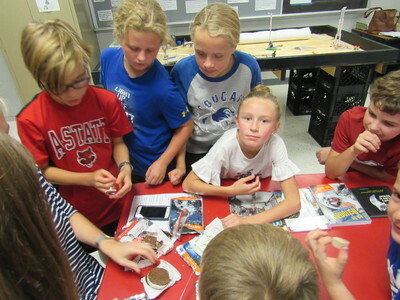 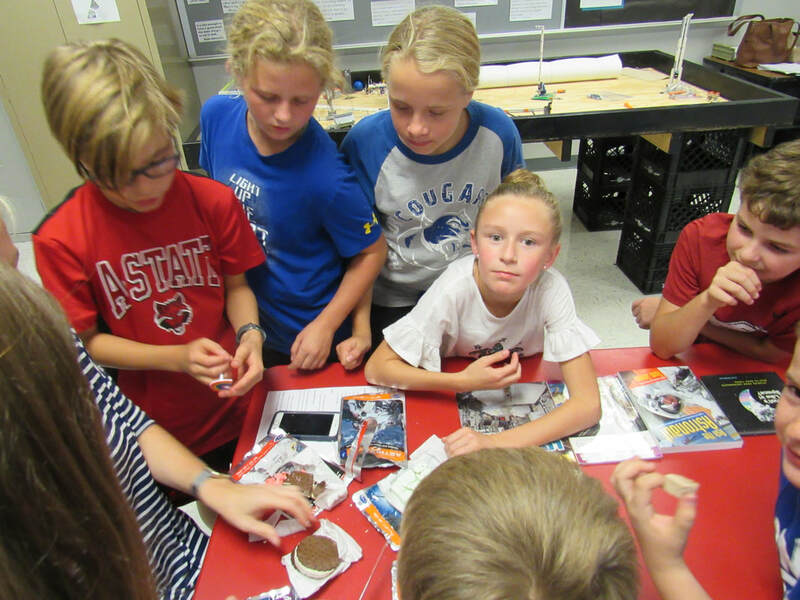 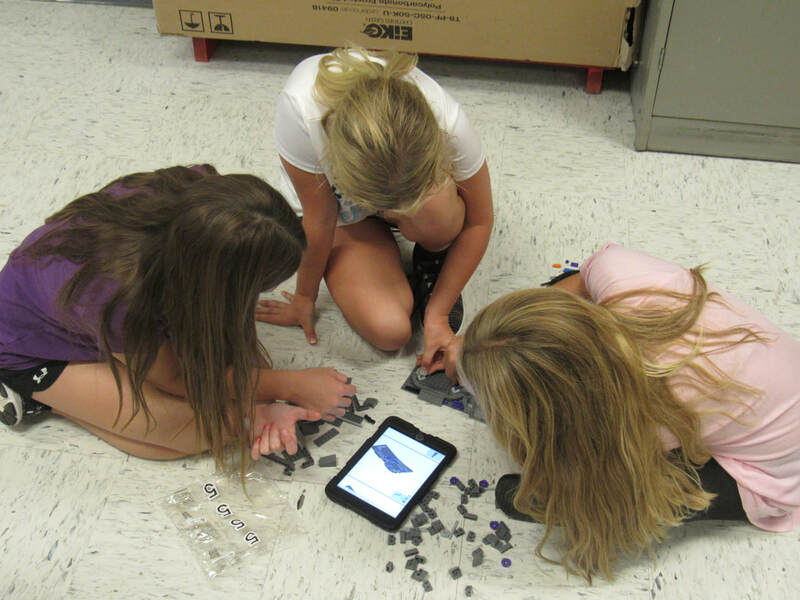 LEGO Team meets every Monday from 3:00 until 4:30 in Mr. Mabrey's Room. Above: Students are working on building the missions and researching for their project for 2018 Into Orbit! 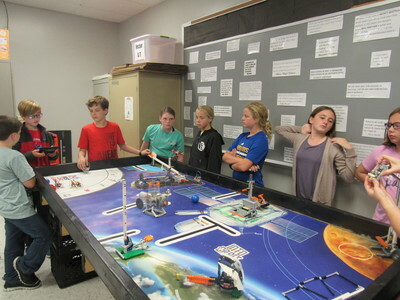 Right: 2018 LEGO team is engaged in programming our newly designed robot, practicing their skit for our project, and developing their core values! 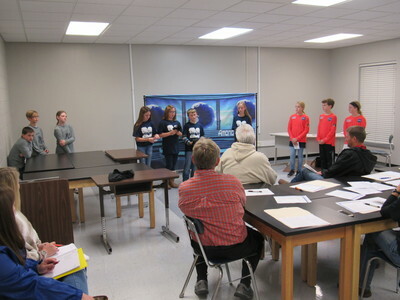 Below: Members of our team presenting and demonstrating our project/robot at the school board meeting. 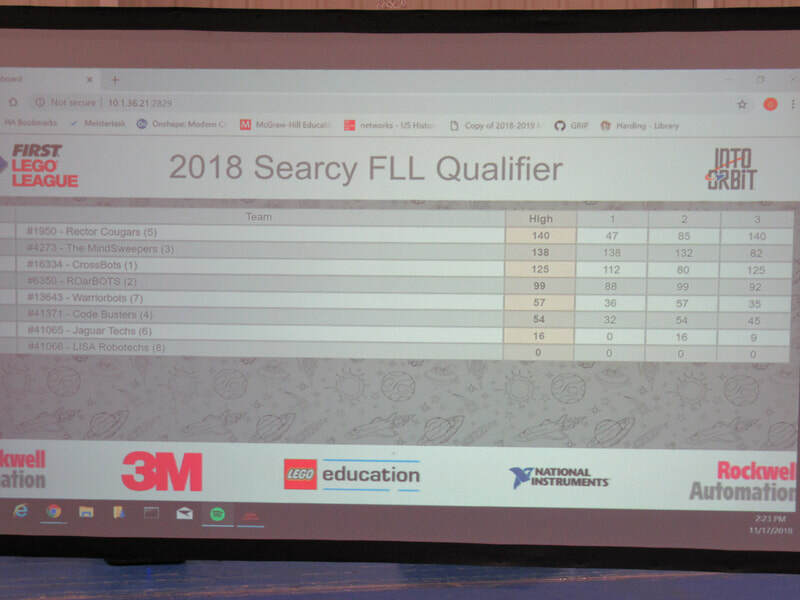 Bottom: Our 2018 Team competing in the Searcy Qualifier! 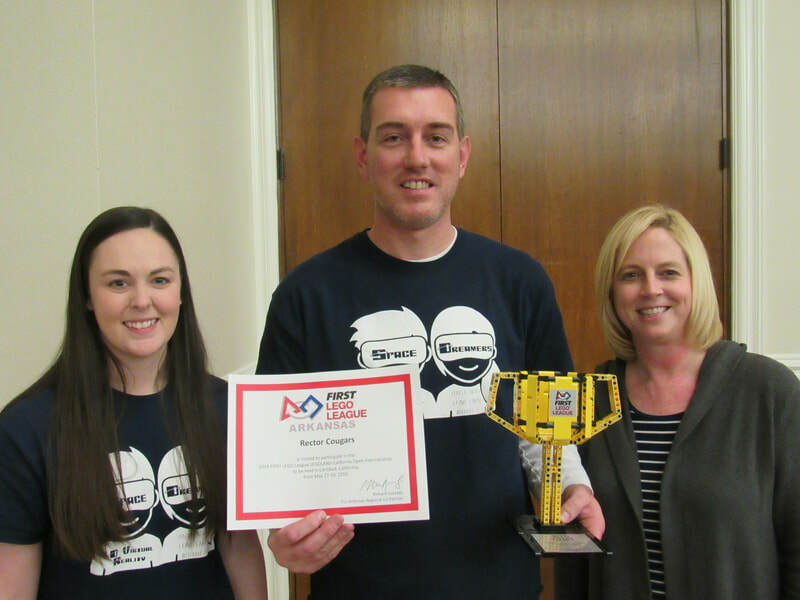 We qualified to compete in the State Tournament again this year, and we won 1st place in Robot Design! 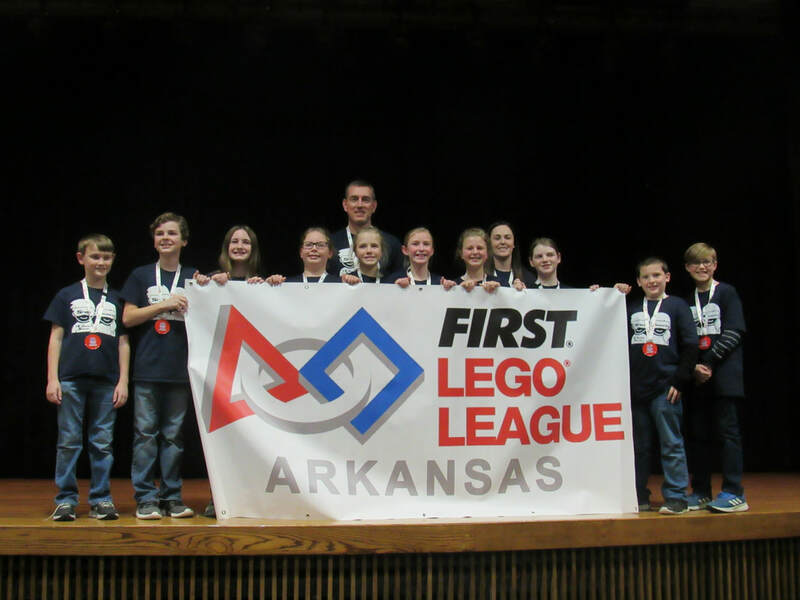 So, we're heading back to Fayetteville on January 18-19 for the state competition! 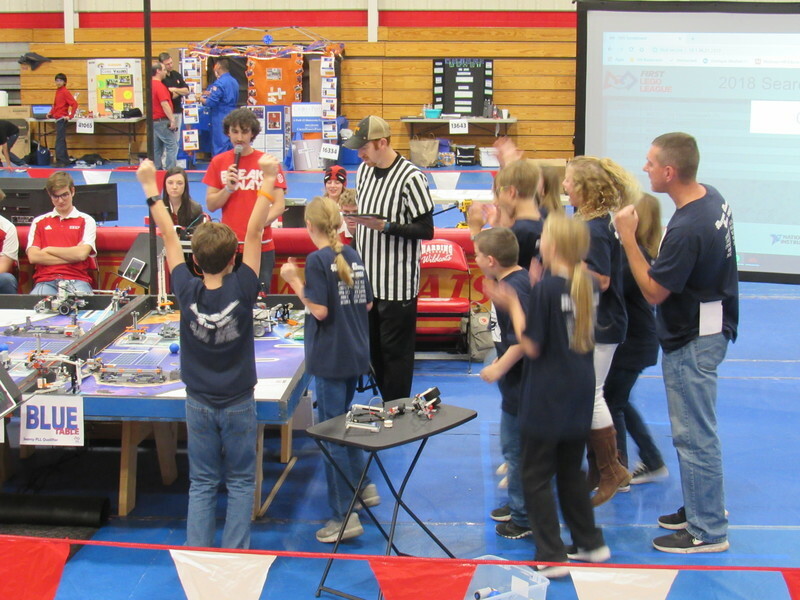 We also finished in 1st place in the robot missions, which is the first time we have won the robot rounds! Our LEGO team will be having a variety of fundraisers for our California trip. 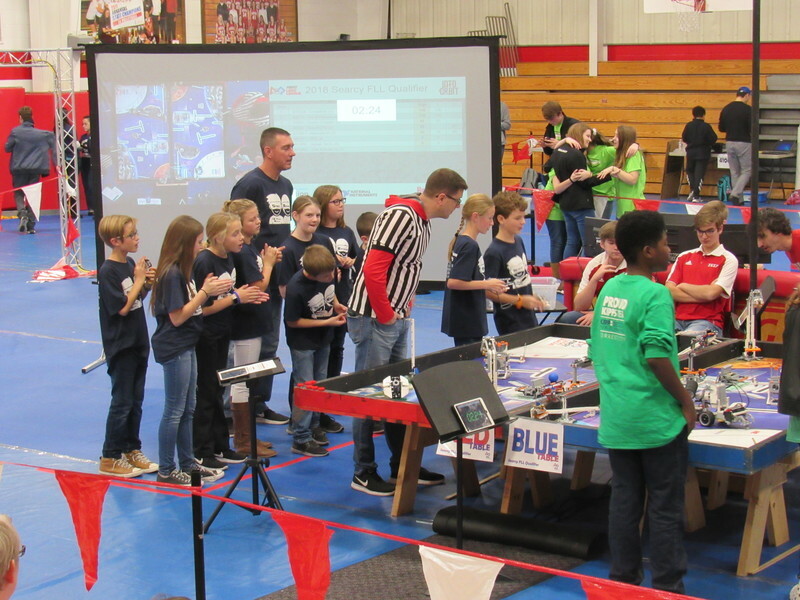 We will be having two raffles ( one for a tv/one for a rifle), chicken plate dinners, business sponsorships, and donations to help us raise money. 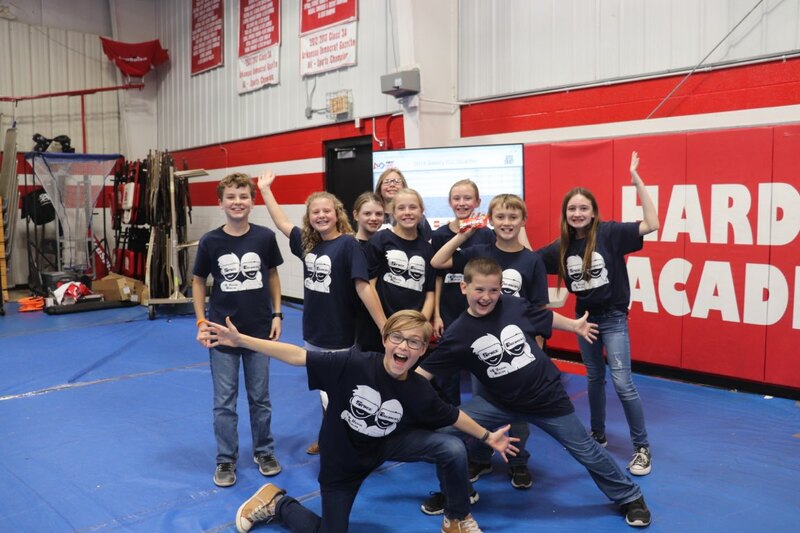 Check back for more details as they become available! 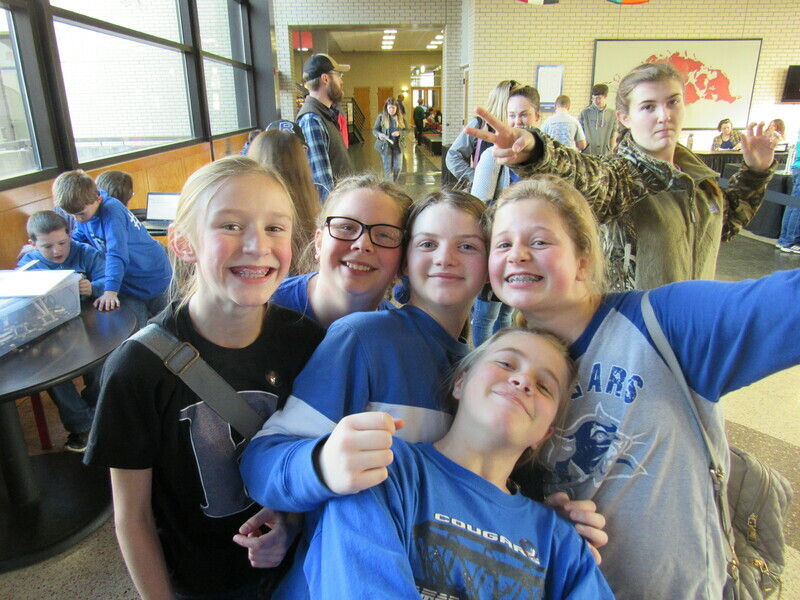 Thank you for your help and support! 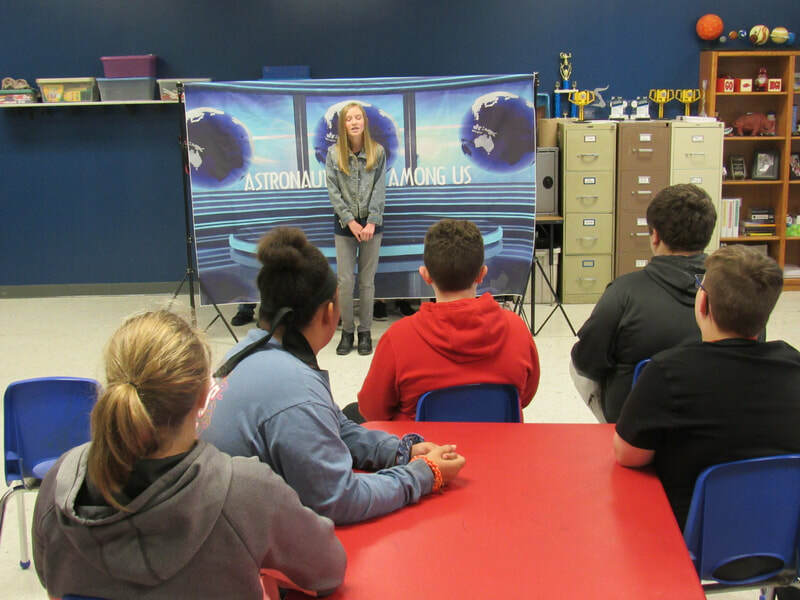 1) Samsung 43" 4K UHD Smart TV (donated by Primetals Technologies): Judy Schimming. 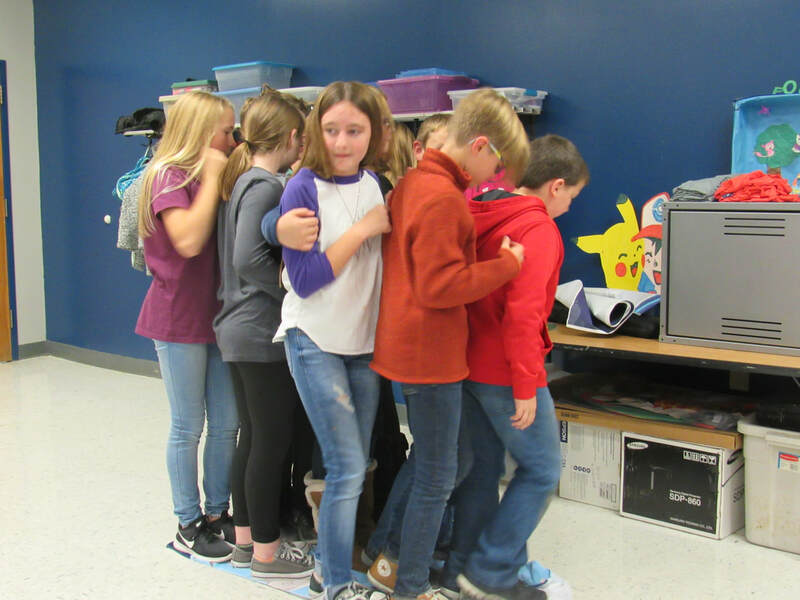 2) Yeti Tundra 45 quart cooler (donated by Midwest Auto Parts)- Betty Essman. 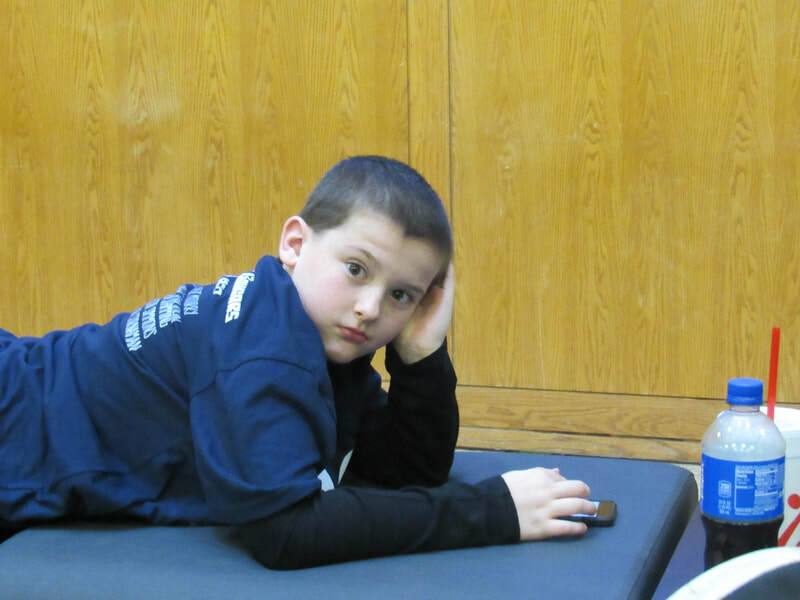 3) 220 Savage Slug Gun with Nikon BDC 220 Riflescope- Bryan Blackshare. 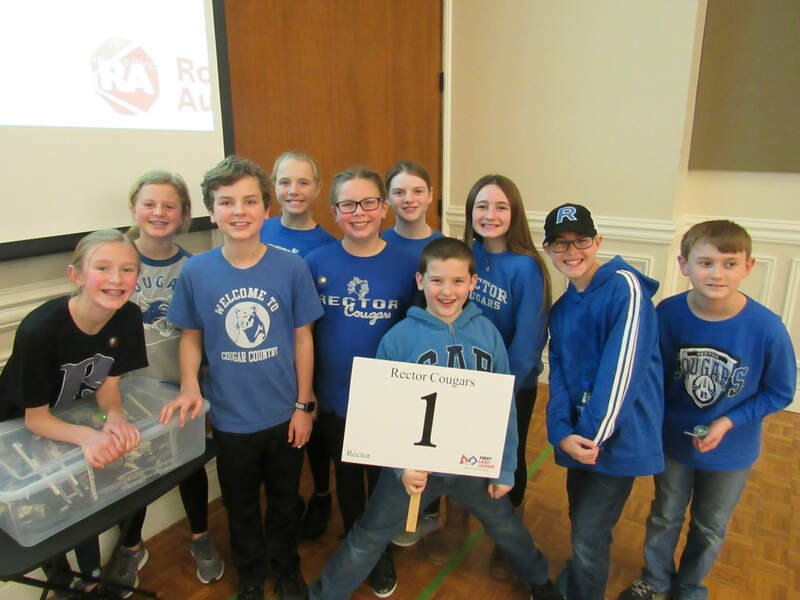 Last year's team accomplished its goals! 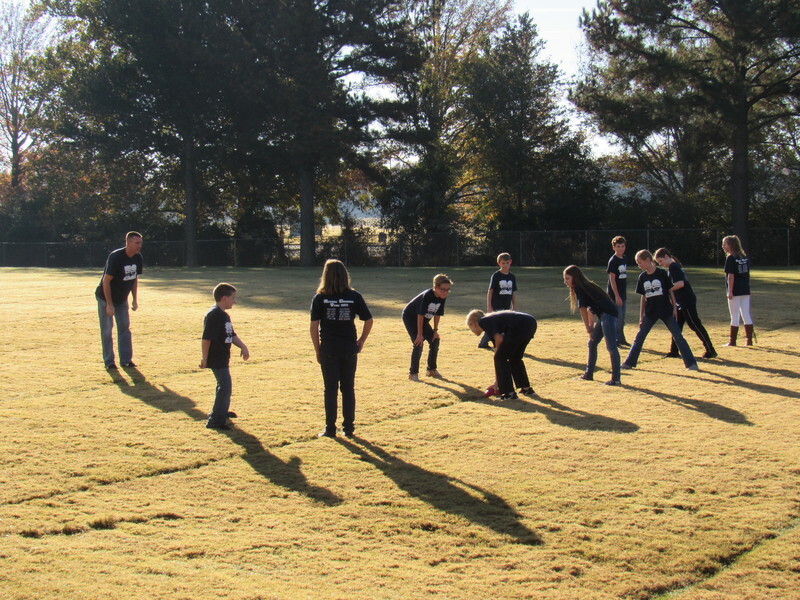 This year's team looks to go even farther! 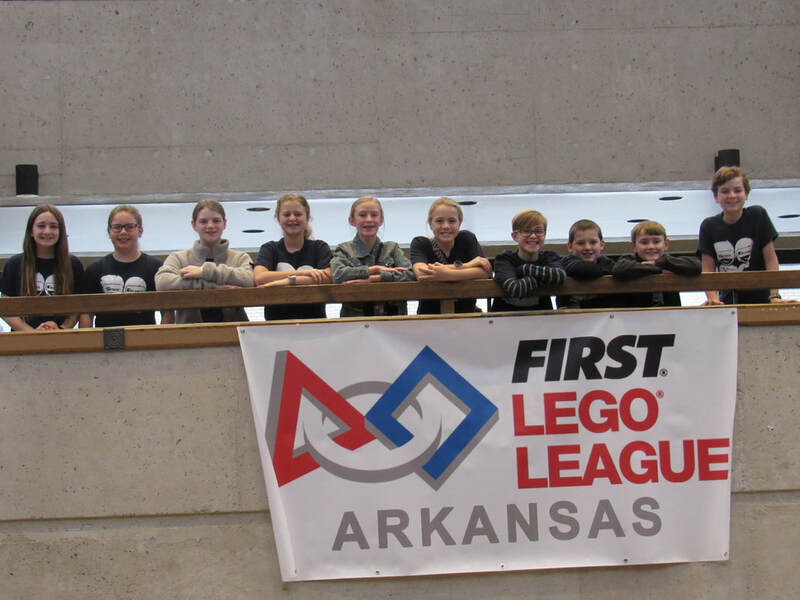 Our team competed in the State Tournament at Fayetteville on January 18-19. 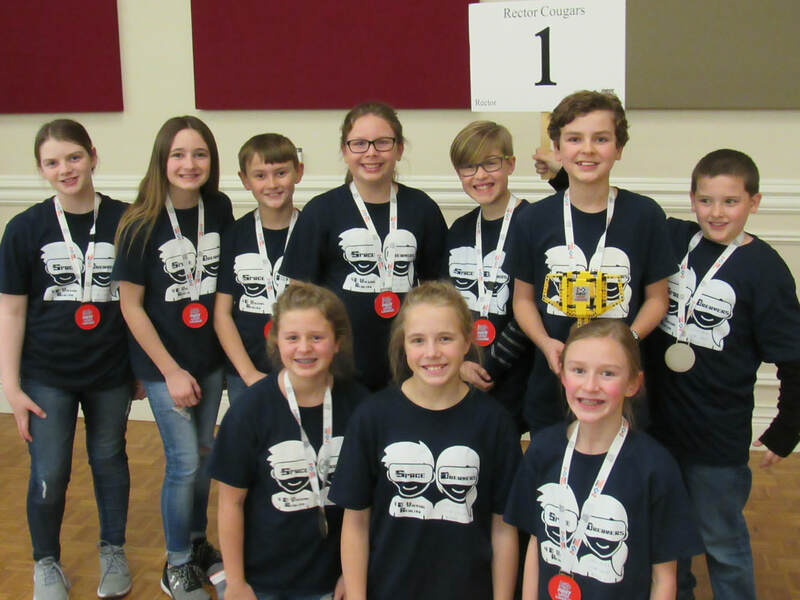 Congratulations for winning 1st Place in Robot Programming, 3rd Place overall, and being invited to participate in the LEGOLAND California International Tournament!!! 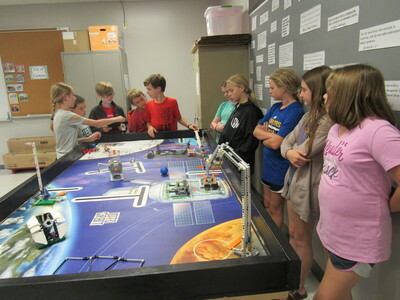 Our LEGO team will be going to California on May 17-19 to compete against some of the top teams from around the world!!! 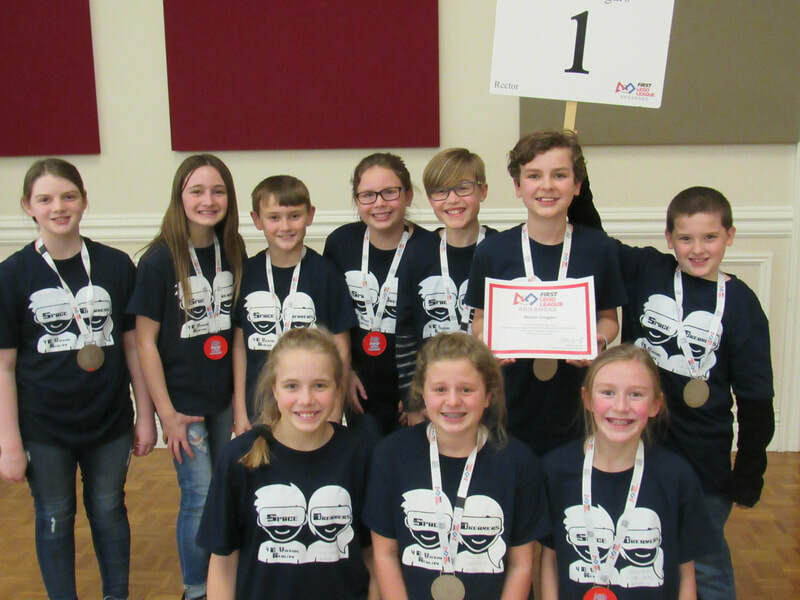 This is the first time our team has ever earned a spot at one of the invitational tournaments, and we are so excited about this opportunity! 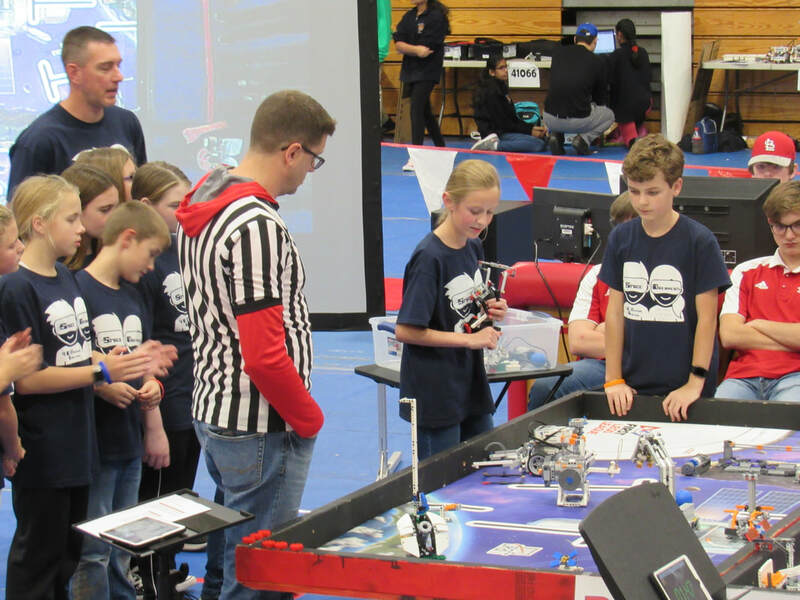 We are all very honored to have earned a spot in this tournament, and we will be working hard to raise money for our trip. 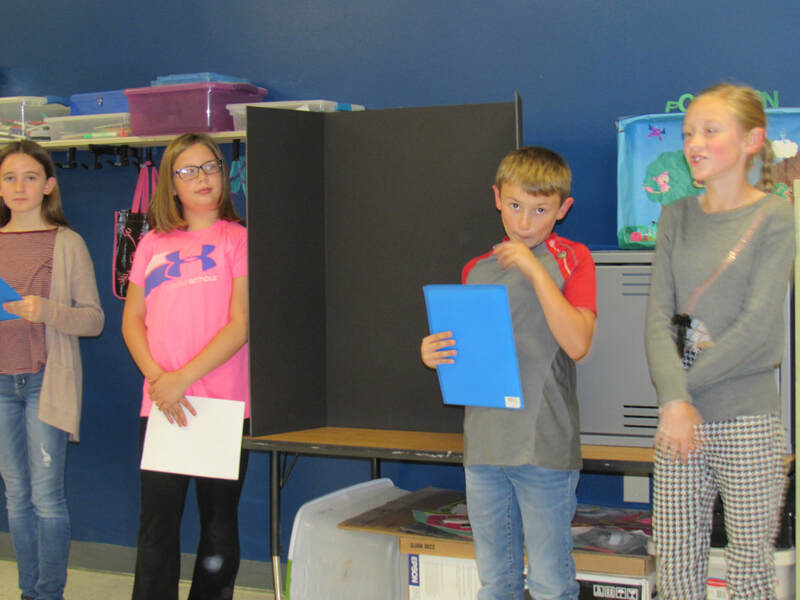 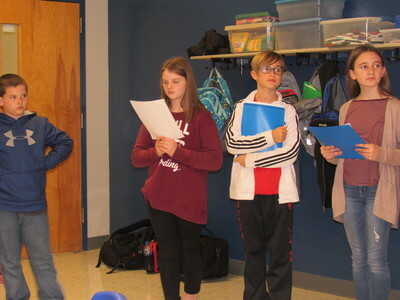 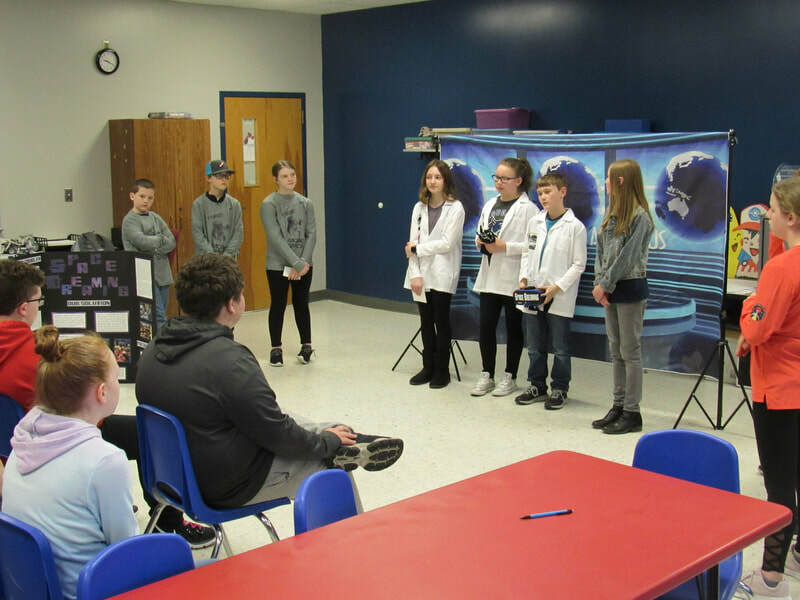 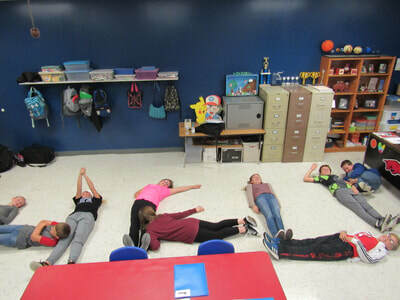 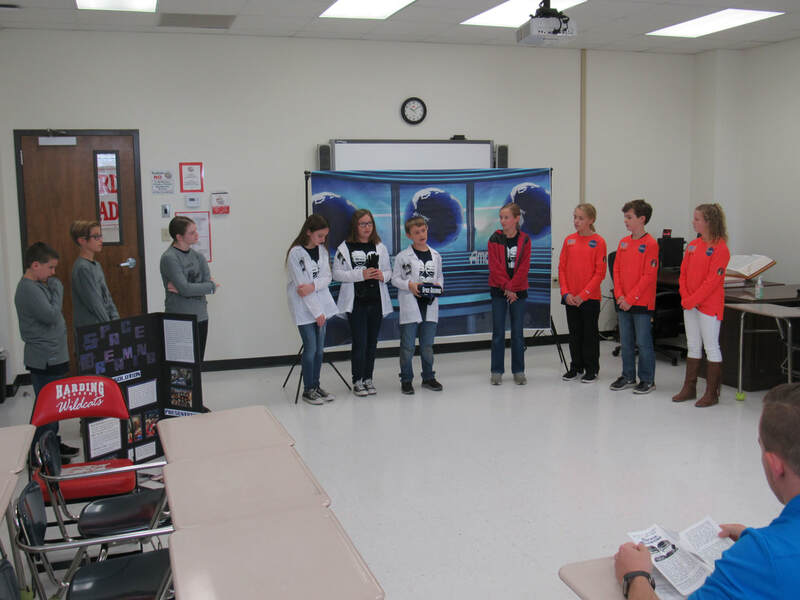 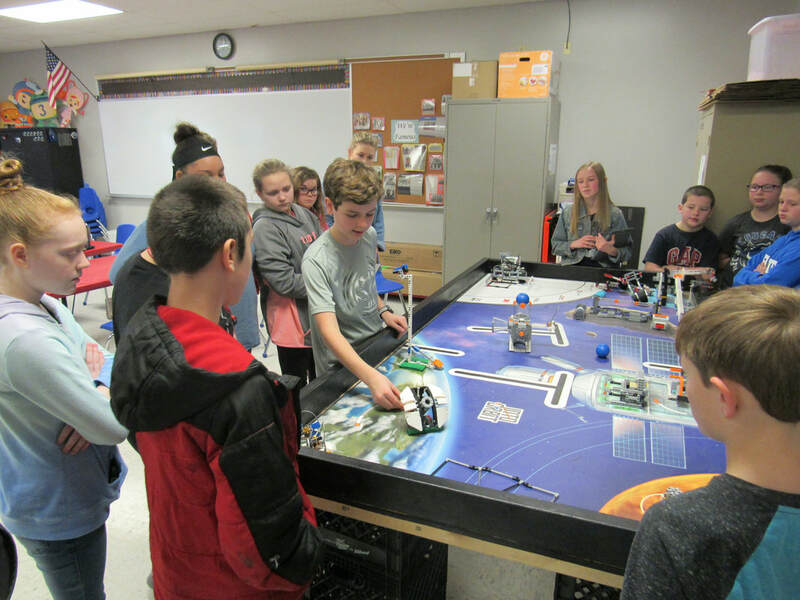 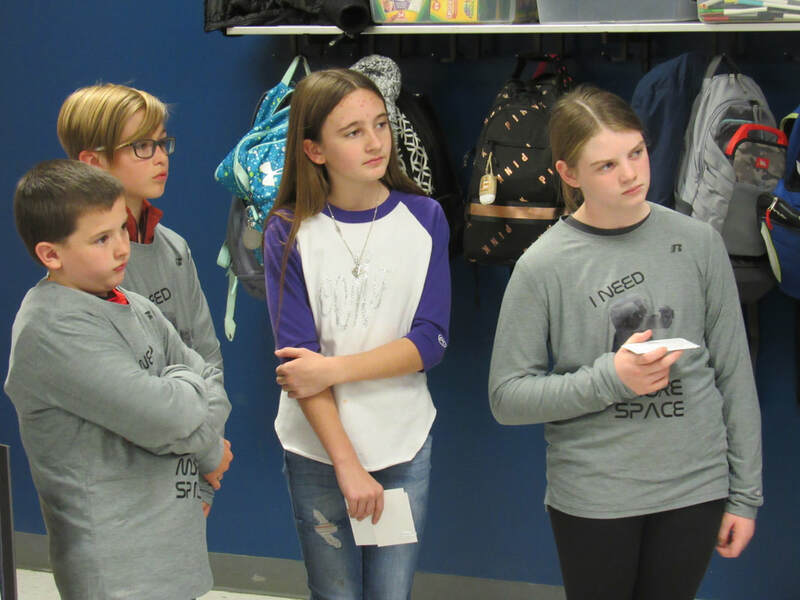 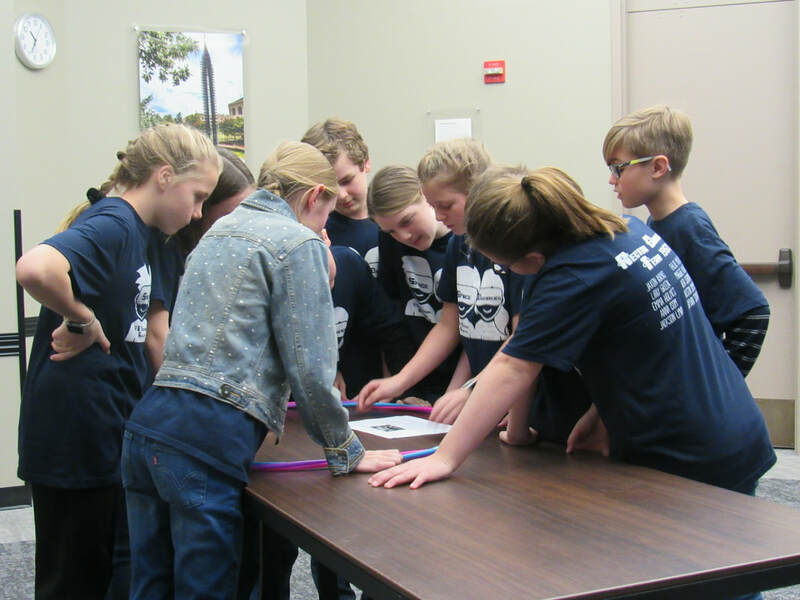 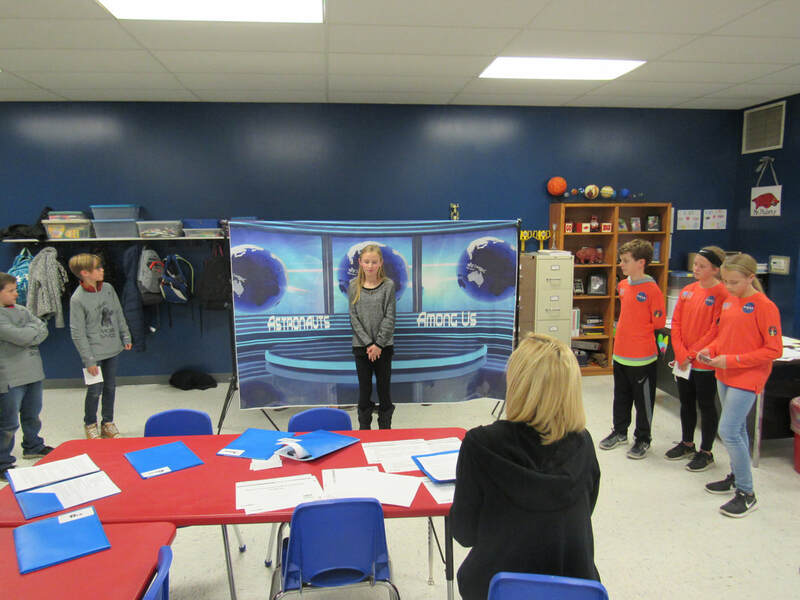 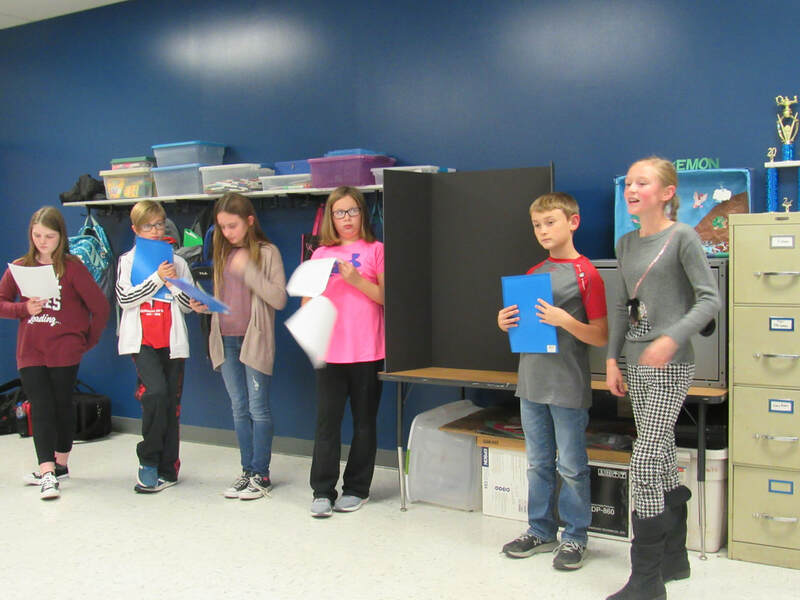 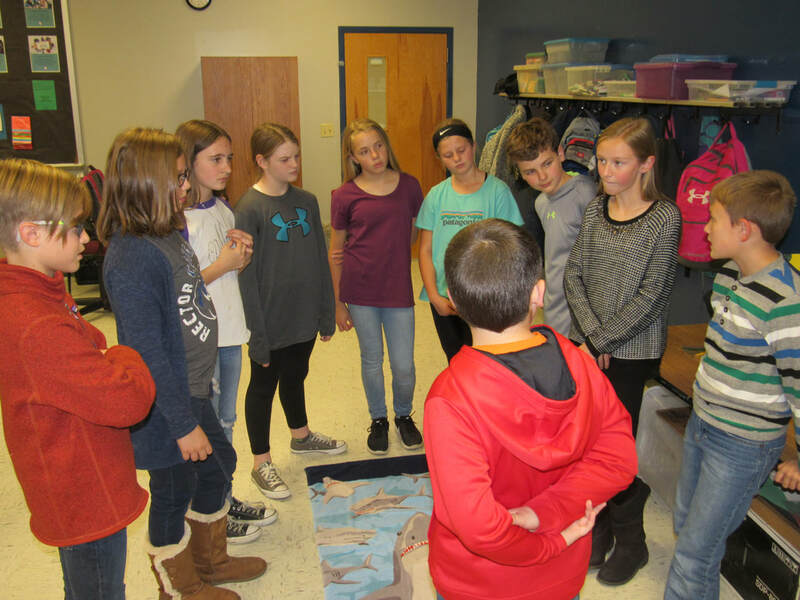 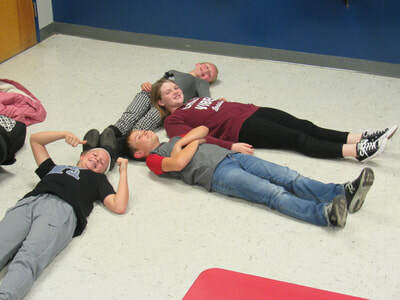 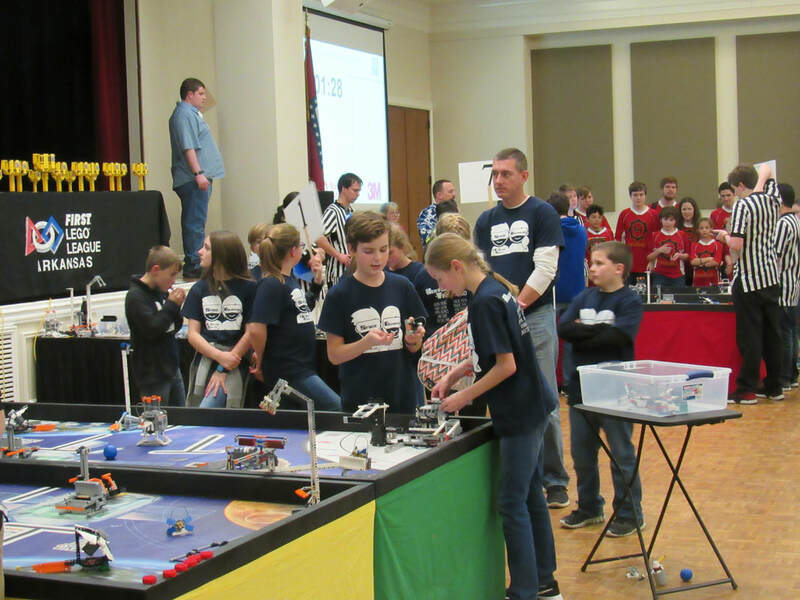 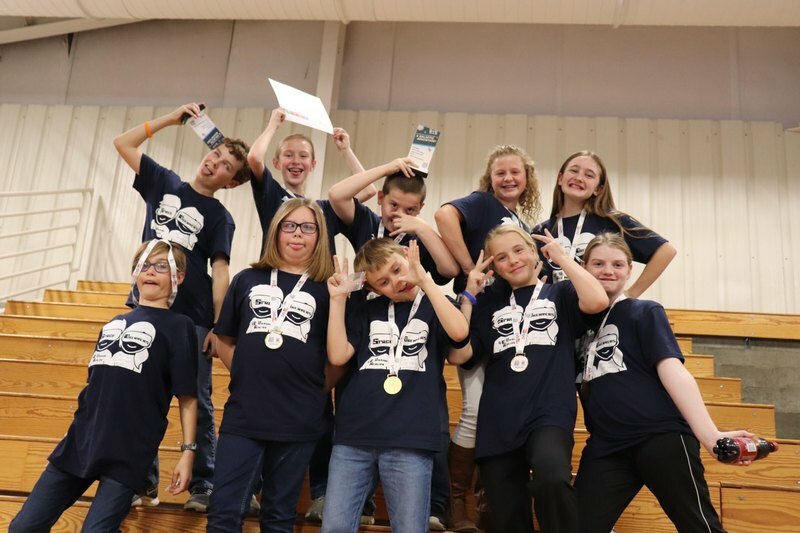 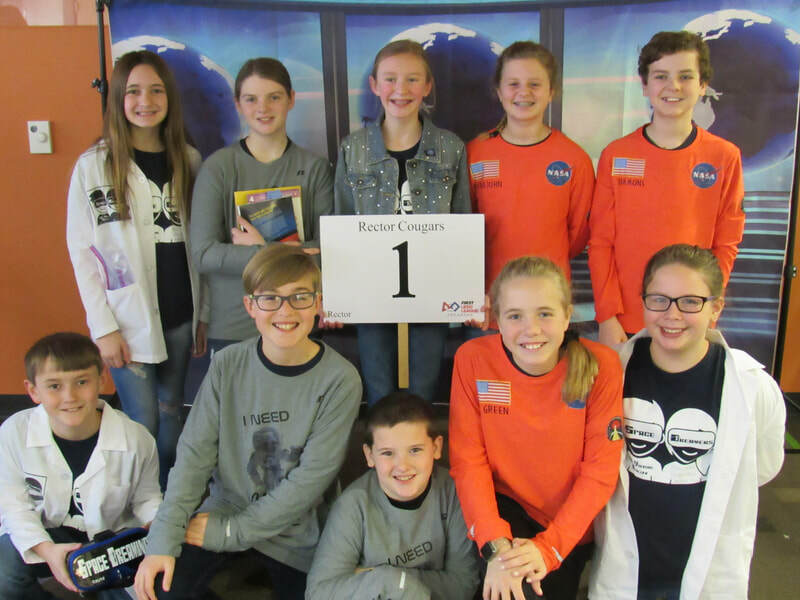 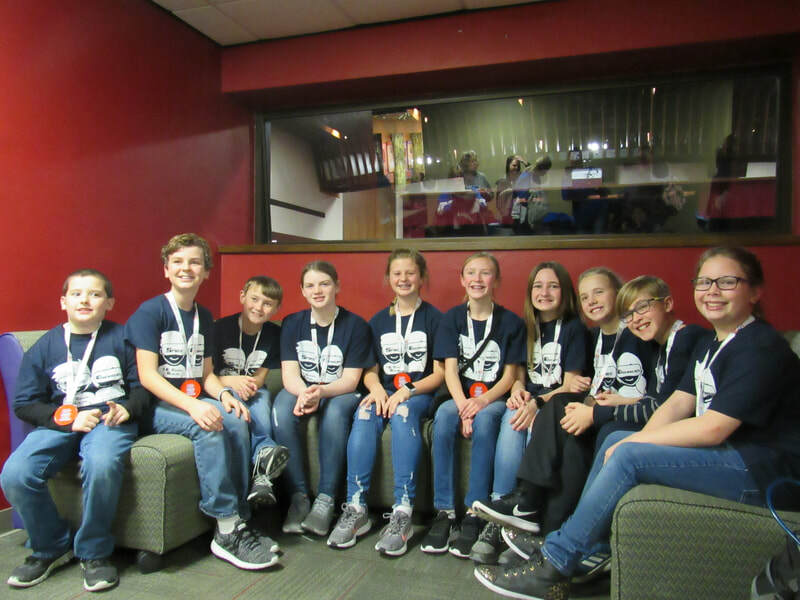 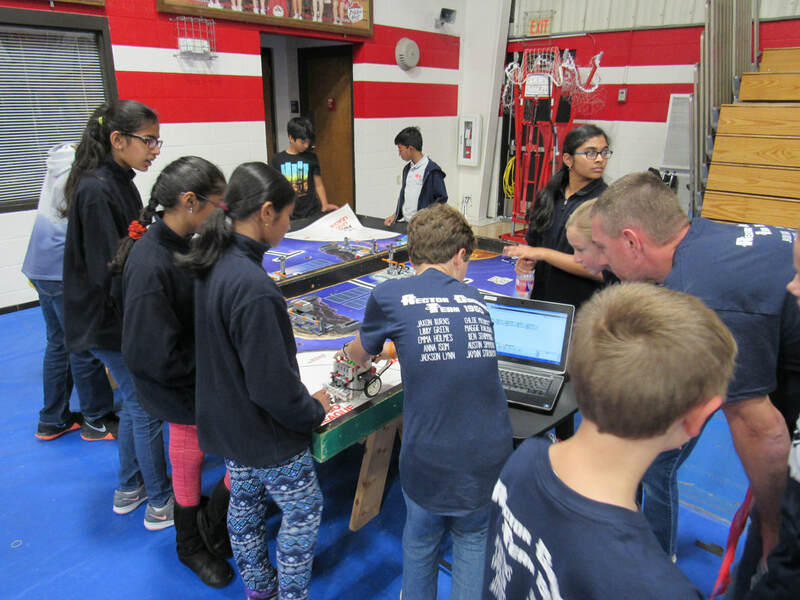 Our team will be demonstrating their project, core values, and robot design presentations, as well as the robot missions for a group of students from a nearby school in Missouri on March 8. Way to go team for sharing what you've learned with others and trying to help more LEGO teams get started!